1. Busch Gardens, Williamsburg, Va. This well-known amusement park is perfect for teens and young adults because of its diversity. The 100-acre, European-themed park features aspects of England, Scotland, France, Germany, Italy and Ireland. It offers 23 rides, nine main stage shows and a 4-D movie. One of the popular roller coasters, the Griffon, claims to be the world’s tallest, floorless roller coaster, climbing 205 feet and traveling at speeds up to 75 mph. Another popular coaster is Apollo’s Chariot, which rides over nine humps. The Loch Ness Monster coaster loops at 13 stories tall and can go as fast as 60 mph. 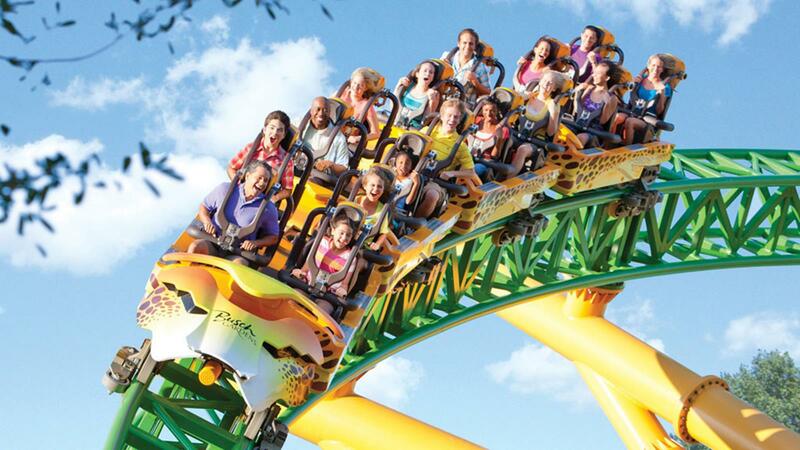 Students who do not like roller coasters can enjoy tamer rides, shows and animal exhibits. 2. Water Country USA, Williamsburg, Va. The sister water park to Busch Gardens is Water Country USA. It claims to be mid-Atlantic’s largest water park with 43 acres of pools, lazy rivers and water rides. A section of the park called Rock ‘n’ Roll Island features a 700-foot Rambling River lazy river and three body slides. For the thrill-seeker, Vanish Point water slide is ideal with two slides that have the option of a 75-foot-tall drop from a floor that drops from the rider’s feet or a horizontal start that shoots the rider out with water to the same drop.The Nitro Racer six-lane water slide is for students who want to race with friends. The park also includes Aquazoid whitewater rafting. 3. Kings Dominion, Doswell, Va.
A 300-foot replica of the Eiffel Tower stands in front of this 400-acre theme park near Richmond. It features live shows, thrill and family rides, and a water park. It has 15 roller coasters, including the Intimidator 305, a mega coaster with a height of 305 feet and speeds up to 90 mph. The Dominator is said to be the world’s longest floorless coaster at 4,210 feet. The Grizzly is a wooden roller coaster based on Coney Island’s Wildcat coaster. The Volcano is a coaster that rockets out of a volcanic crater. WaterWorks, Kings Dominion’s 20-acre water park, features a ¼-mile lazy river and a slide that sways back and forth called the Tornado, extending 65 feet into the air. 4. Six Flags America, Largo, Md. Six Flags America is a 170-acre theme and water park with more than 100 rides, shows and attractions. Thrill-seeking students may like SUPERMAN: Ride of Steel. It stands 205 feet tall and speeds up to 74 mph, intertwining red and blue on steel curls and hills. Another DC Comics-inspired ride, Batman’s Batwing coaster, is almost 11.5 stories and goes up to 50 mph. A popular wooden coaster, The Wild One, is 96 feet high and tops at a speed of 45 mph. The Apocalypse, new in 2012, is a standing, steel coaster that raises the cart 10 stories. Six Flags America’s water park, Hurricane Harbor, has a wave pool and new for 2013, the Bonsai pipelines. The 65-feet pipelines have the floor drop beneath the rider into the slides with six different slide options. Hurricane Harbor also contains The Halfpipe, which lets the tuber go back and forth as if in a pendulum motion on a four-story-tall slide. 5. Jolly Roger Amusement Park, Ocean City, Md. On the Atlantic, Jolly Roger Amusement Park has six theme parks, one being Jolly Roger Park at the Pier, which offers midway games and rides, a two-story carousel, a Ferris wheel, bumper cars, a fishing pier, looping roller coaster and a 3-D haunted house. There are also a Ripley’s Believe It Or Not and a Ripley’s Mirror Maze. Down the street on Coastal Highway is the rest of Jolly Roger Amusement Park, which includes Jolly Roger at 30th Street. It has the Riptide Express roller coaster, concession stands, and the Jolly Roger Express, a 1952 train. These two sections of the park can show the students a nice view of Ocean City beach as well as midway games, rides and prizes. There is no charge for admission, but there are costs per ride and for each game. Splash Mountain is the water park of Jolly Roger Amusement Park. It features water slides, a water roller coaster and family activity pool. It also has a 1,000-foot lazy river and a water bubble pool. There is Stealth, the 45-foot half-pipe slide, and Black Hole Slides, a mysterious water slide experience. Splash Mountain also has The Rain Forest, a tree club house equipped with water features. Jolly Roger Amusement Park also includes Xtreme Ziplines, Speedworld go-karting, and mini golf. 6. Six Flags Great Adventure featuring Safari Off-Road Adventure, Jackson, N.J.
New Jersey’s Six Flags Great Adventure is known for Green Lantern, one of the park’s most popular roller coasters. It is a stand-up coaster at 154 feet tall with a 63-mph top speed. El Toro is a wooden coaster with an 18-story drop with speeds of 70 mph. It was voted the No. 1 wooden coaster in the 2012 Amusement Today Golden Ticket Awards. The former fastest coaster in the world, Nitro, soars 230 feet in the air and zooms at speeds as fast as 80 mph. Great Adventure’s Hurricane Harbor water park has a million-gallon wave pool, a half-mile lazy river, 25 slides and its newest attraction, Big Wave, an eight-slide racer down water on slippery foam pads. 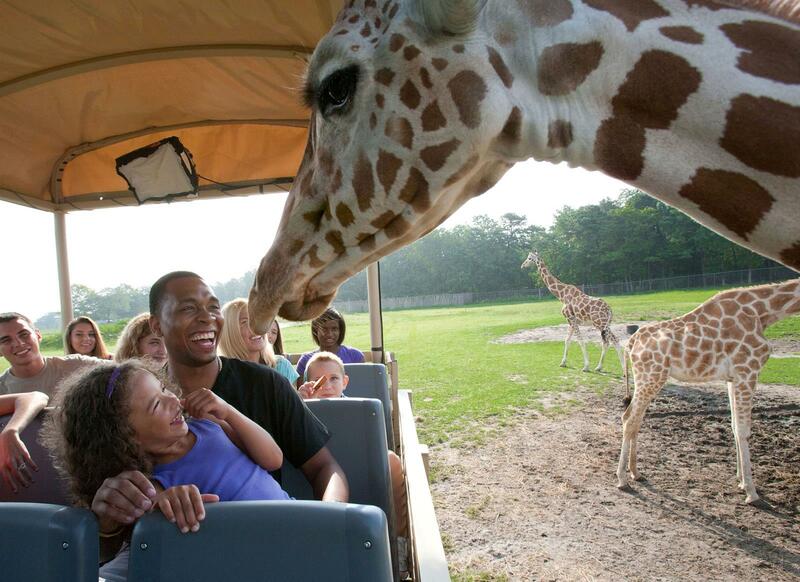 New for 2013, Great Adventure’s admission includes Safari Off-Road Adventure, the drive-through safari. The 4.5-mile drive offers the potential to view up to 1,200 species of animals; from bears and giraffes to lions and elephants. In September 2012, the safari closed its doors to undergo renovations and the creation of Camp Aventura. Camp Aventura will be the main stop on the refurbished exploration. The camp will give viewers the opportunity to pet and hand-feed the animals. There will also be an option to ride a zip line above the animals. 7. Morey’s Piers and Beachfront Water Parks, Wildwood, N.J. The Morey’s Piers and Beachfront Water Parks complex overlooks the Jersey Shore with many options for student recreation. It consists of three amusement parks and two beachfront water parks. One of the parks, Adventure Pier, has the Great White wooden roller coaster. It zooms 105 feet down and reaches 50 mph. Students can admire tge pier on the aerial birds-eye-view ride. An attraction called Springshot uses aircraft cables and springing motion to cannonball the rider into the air at 75 mph . The second park, Mariner’s Landing Pier, offers a 156-foot-tall Ferris wheel with an addition of LED lights for 2013. The Sea Serpent roller coaster reaches speeds of 55 mph while the new Riptide rocking boat swings riders in the air. Surfside Pier, the third park, is known for the Zoom Phloom log flume and the free-fall attraction AtomsFEAR with a 140-foot drop at 50 mph. The Beachfront water parks section includes Raging Waters Water Park, which has a lazy river, slides and an activity pool. Ocean Oasis Waterpark and Beach Club contains a swim-up bar, a set of six-lane racer slides, a relaxing pool, slides and cabana rental options. Hersheypark was founded by Milton S. Hershey in order to have a recreational gathering place for employees of his company. The chocolate-inspired park boasts more than 65 rides and attractions including 12 roller coasters. The newest coaster, Skyrush, is the park’s fastest and longest ride, soaring 200 feet into the air and zooming down at 75 mph. Fahrenheit, an intense coaster, lifts vertically with a 97-degree drop. Storm Runner, another heart-pumping ride, goes 72 mph in a mere two seconds. An old-fashioned coaster, Comet, dates from 1946. The park also includes live music shows and The Boardwalk water park. The Boardwalk resembles oceanfront piers in the Northeast and has a 378,000-gallon wave pool and a lazy river. Admission to Hersheypark also includes access to ZooAmerica North American Wildlife Park across the street. The 11-acre zoo houses more than 200 animals from five regions. Adjacent to Hersheypark is Hershey’s Chocolate World, the official visitor’s center of the Hershey Company. Chocolate World explains the chocolate making process and has chocolate taste tests as well as a dessert creation area and a make-your-own-candy-bar section. 9. 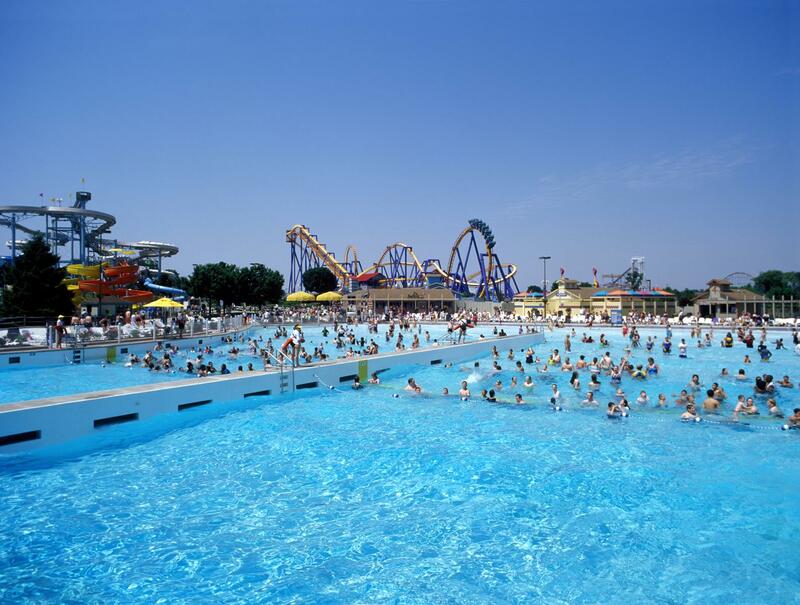 Dorney Park and Wildwater Kingdom, Allentown, Pa.
Dorney Park and Wildwater Kingdom, less than a two-hour drive from New York City, is a great student-group destination. The two parks offer more than 100 attractions on 200 acres. Hydra:The Revenge, a popular roller coaster, claims to be only floorless coaster in Pennsylvania. Talon claims to be the Northeast’s tallest inverted coaster with a 135-foot hill. 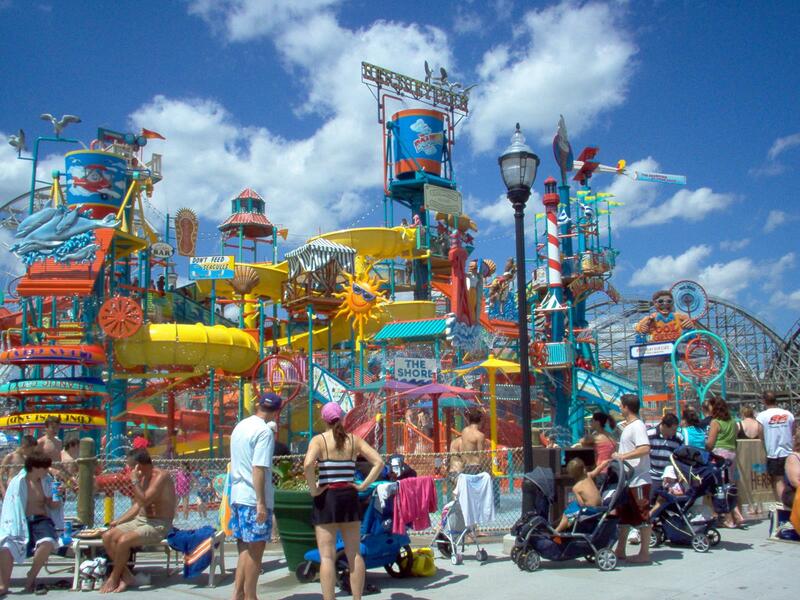 Wildwater Kingdom water park offers 22 waterslides, two tubing rivers, two giant wave pools and the Aqua Racer slides. Dorney features nightly fireworks, live entertainment and an extreme sports production, All Wheels Sports, which will debut this year. 10. Kennywood, West Mifflin, Pa. Ten miles outside the heart of Pittsburgh, Kennywood, is a vintage park that boasts 25 rides, 14 Kiddieland rides, six roller coasters and three water rides. It also includes game arcades, landscaped gardens, picnic shelters and daily stage shows. Some buildings in the park date back to 1898. Phantom’s Revenge is one of the fastest roller coasters in the country with a 230-foot drop and speeds up to 85 mph. Thunderbolt, a wooden coaster dating from 1924, reaches 50 mph. The park also features nine thrill rides (non-rollercoaster) and 10 classic rides, such as a grand prix and merry-go-round. Kennywood’s new thrill ride, Black Widow, is a wheel that spins counter-clockwise in a pendulum motion and gets up to a height of 146 feet at 68 mph. The Ghostwood Estate is a haunted house with vehicles that have laser blasters to destroy ghosts.